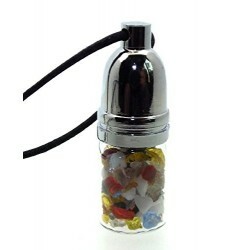 The pendant measures 45mm long x 21mm wide and is supplied with a short knot and loop fastening cord. Because this is a natural crystal colours will vary slightly. 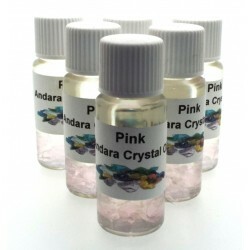 This Andara item has been Dowsed, Certified, Cleansed and Activated by Angelleesa. Andara's are used to access to higher dimensions of consciousness. 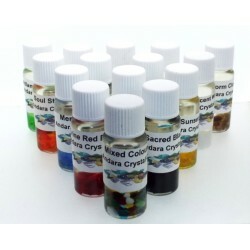 Andara's will open and cleanse each chakra and will Detoxify any form of negativity. The healing vibrations are amazing. The Andara's will help increase your access to all Universal knowledge and will greatly accelerate your spiritual development. 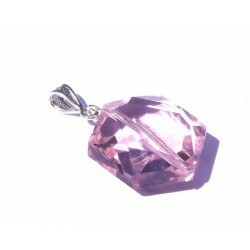 Andara is one of the best crystal for giving one the ability to channel and are also perfect for healing. Andara crystals are ancient healing crystals that have been around for eons and are believed to have been used in the healing temples of Atlantis & Lemuria, but only now in recent years are they being recognised in the western world as a powerful healer and ascension tool for spiritual advancement. They are all Heliocentric which simply means they absorb and reflect light which is why they have become such a popular choice for healers and collectors the world over. Their popularity is not only based on beauty alone. Its energies are very powerful and can be quite intense at times but you will always have a positive experience when using and working with Andara Crystals. Andaras are available in such beautiful colours due to rare trace mineral deposits of metal oxides found in the soil, trace elements such as Iron, Manganese, Selenium, Cobalt, Copper, Nickel, Titanium, Gold, Silver and even Uranium. 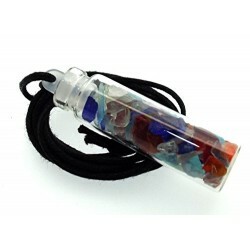 Andara is a Volcanic glass that is found high up in the sacred Indian regions in California. It also comes from South Africa and Indonesia.